A little rover is carrying a dangerous loads in a small Classic-Space world. With a Big tire it drive through a wild of sandy planet and keep doing it’s Job. 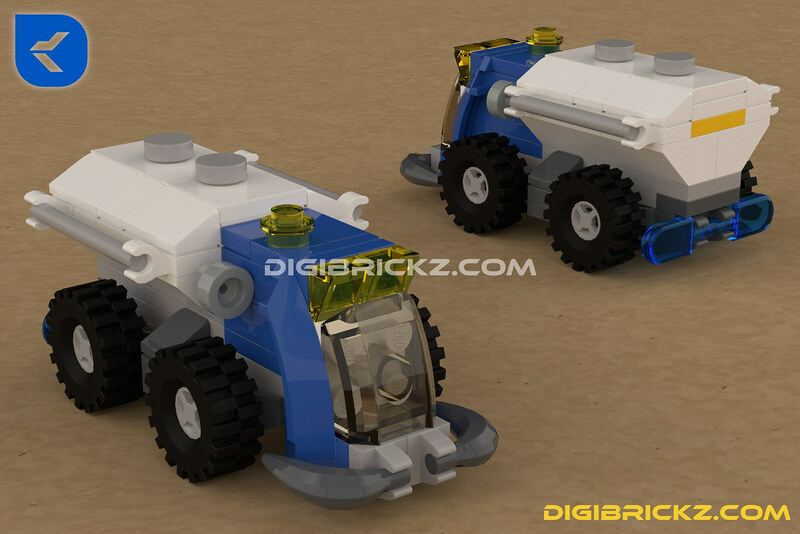 It’s a Little Space Tanker Rover with a blue and white Classic-Space color scheme. A small Creations doesn’t mean it has a Bad parts usage, it’s an Example of quality in Small building, use a rarely used parts for details and make a Scene. Related Posts of "A Little Tanker on Classic-Space world"